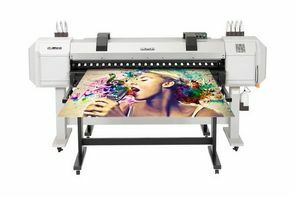 Mutoh a leading manufacturer of wide-format inkjet printers and cutters, today announced its new ValueJet 1617H. Featuring a half inch print height and white ink printing capability, the 1617H is the most affordable hybrid printer on the market. Available for shipment in May, The ValueJet 1617H uses MP Ink, a UV alternative bio-based ink to create high quality prints on both rigid and roll substrates. With multiple substrate printing capabilities, the 1617H is the ideal choice for print shops. Create trade show graphics, POP displays, vehicle wraps, packaging prototypes, promotional products and indoor and outdoor signage. The ValueJet 1617H was first showcased at the SGIA Expo in 2013. 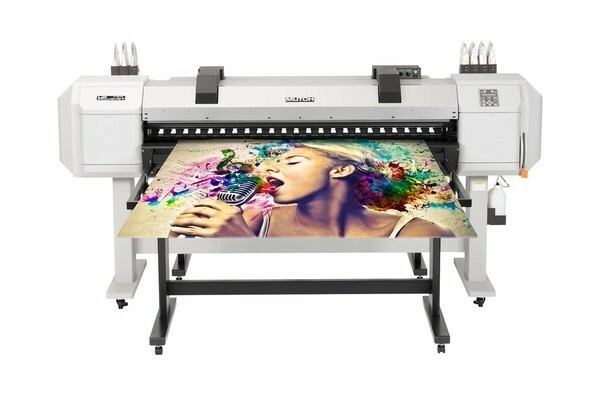 Mutoh showed the printer for the first time at the International Sign Expo in Las Vegas from April 4 through 6, 2013.